One of my most treasured traditions happens on Thanksgiving morning. I pop the turkey in the oven, brew a cup of hot apple cider or cocoa, then cuddle up on the couch and watch the Thanksgiving Day Parade. It's full of fabulous performances, spectacular balloons, and is the advent for the joy and cheer of the upcoming season. I love to share the cultural tradition of the parade with my students right before Thanksgiving . There are so many great ways to incorporate the parade into your reading, math, science, or social studies lessons! 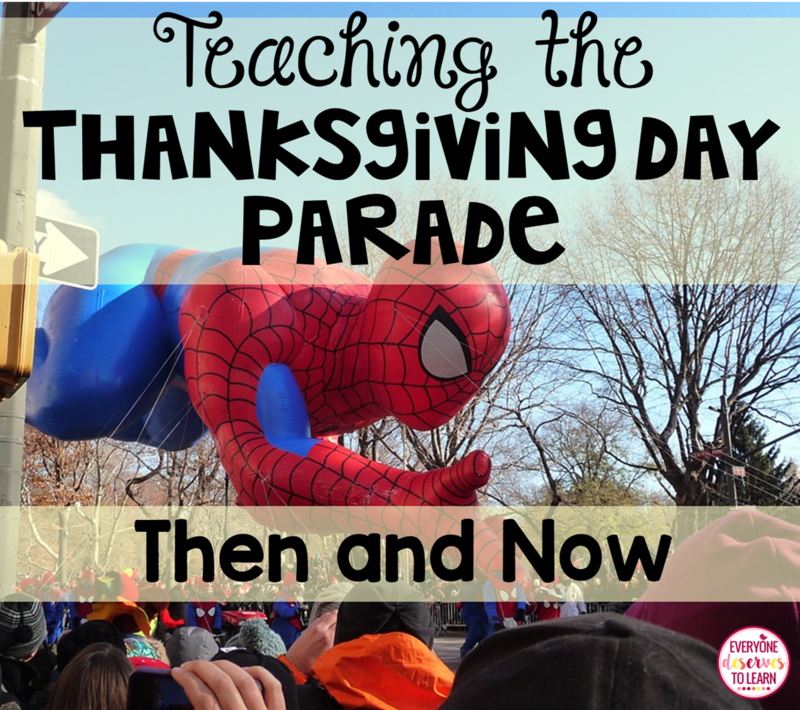 Below are some great ideas for teaching the tradition of the Thanksgiving Day Parade! You may have a few students who have never seen a parade or even heard of one before. Build their background by showing them a few videos. YouTube has hundreds of clips and videos of prior parades! There are so many opportunities for great discussion topics during and after watching each video. In my room, we talk about why some videos are black and white, what people used to wear, what the balloons looked like, and how many there were. Here are two options to share with your class: the first video is of the parade in 1935, and the next is the full video of the parade in 2015. *Note* Please preview all YouTube clips for suitability prior to showing them to your class! For young students, I really like Thanksgiving Parade, which is a rhyming book that tells the story of the parade from a child's point of view. You can't go wrong with Clifford! In this easy reader, Clifford gets to watch the parade with all his friends. The Little Engine that Could is a great book for students who are reading independently! You can discuss problem, solution, and working together during and after reading this book. Don't forget to check YouTube again! 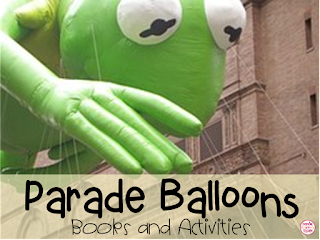 There are some great Parade read-alouds that you can add to a listening center or technology center. This one is Huggly's Thanksgiving Parade, by Ted Arnold. For math integration, students can use the Macy's Parade website to count, tally, and graph the number of floats, performers, bands, and balloons. Compare this year's number of balloons to last year's, or even to the number in 1930! 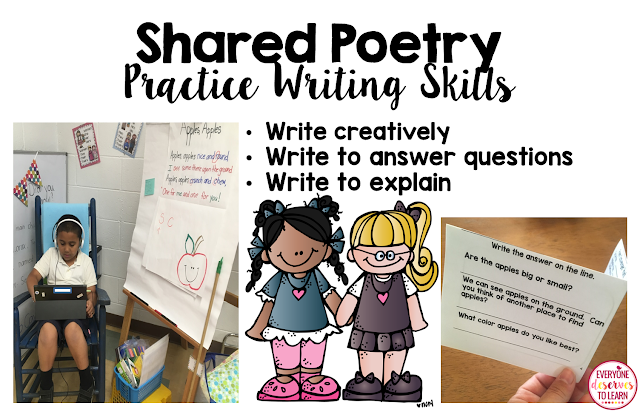 You can share the process of inflating the balloons and have students write an expository piece or have them sequence the events using first, next, then, and finally. One of my favorites to share with my students is Balloons over Broadway, by Melissa Sweet. It tells the story of the first balloon puppeteers and is SO interesting! 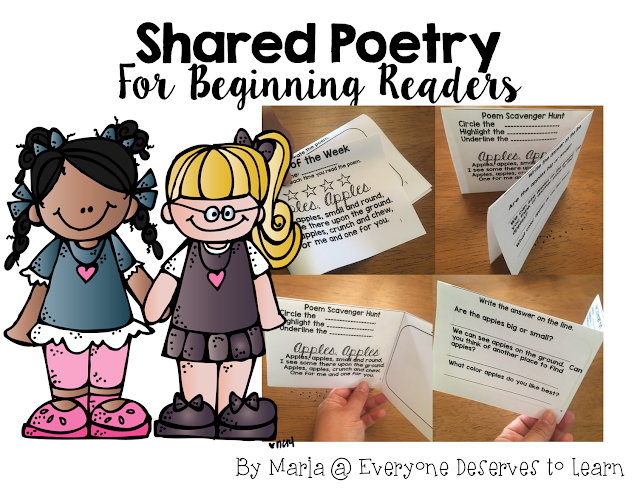 Below is a YouTube video of the read-aloud that you can add to a center or even use during your whole group lesson. I follow that video with an informational text article called Diary of a Balloon. It centers around the story of the three oldest balloons in the Macy's parade, and covers topics like balloon design, balloon history, and balloon safety. 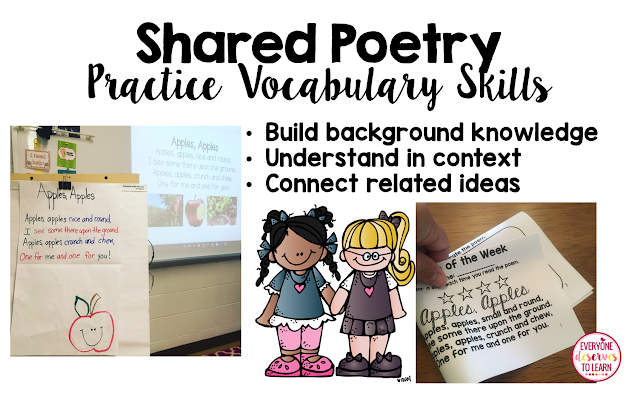 It's a great cross-curricular resource! My students love the writing activities and the chance to design their own balloons. It's great to send home for a light and fun Thanksgiving homework assignment as well. After reading about the history of the balloons, I get my kids excited for this year's parade. 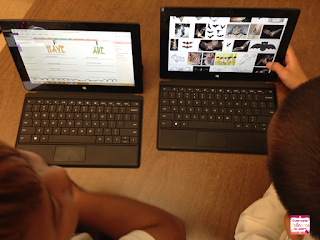 Have students take a look around the amazing website that Macy's has created. Students can practice cardinal directions while they read about where to watch. You can have them use Google Earth to virtually navigate the parade route, while taking in some of the sights of New York City. 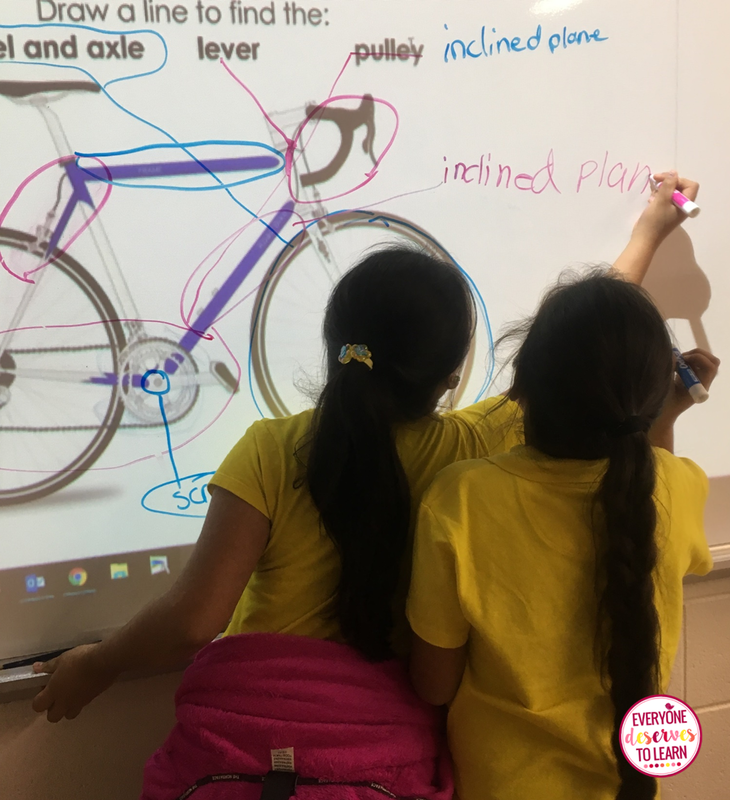 Engage students in the wonders of science by showing them the design process for the giant parade balloons. Here's a great video all about how it's done! After watching, have students answer questions about how the scientific method and engineering process were used to create the balloons. There are so many ways to share the tradition of the Thanksgiving Day Parade with your students! 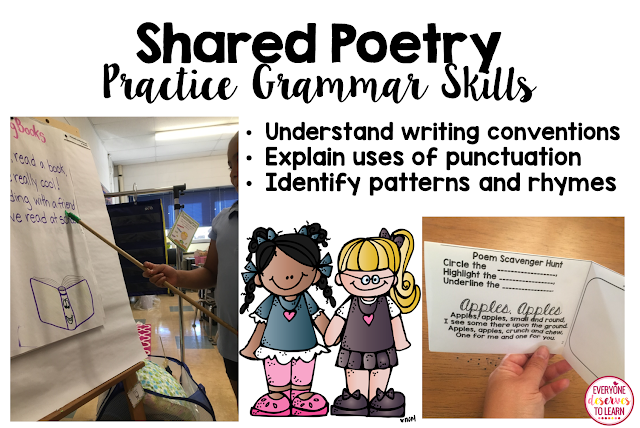 How do you teach about the parade? Share your ideas in the comments! 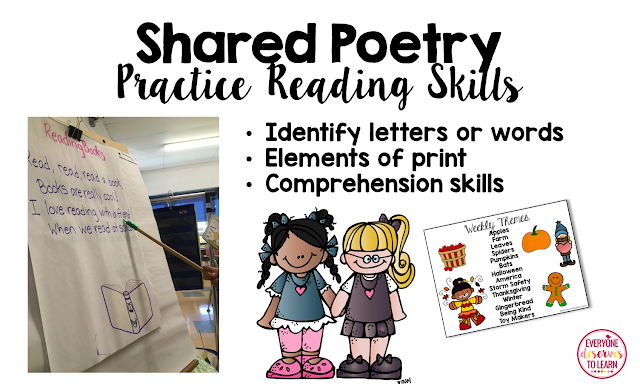 If you have struggling readers at home or at school, practicing with environmental print may be the solution to your literacy problem. My English Language Learners often come to class with very little exposure to American vocabulary, and environmental print has helped them get a better grasp on letters and sounds. 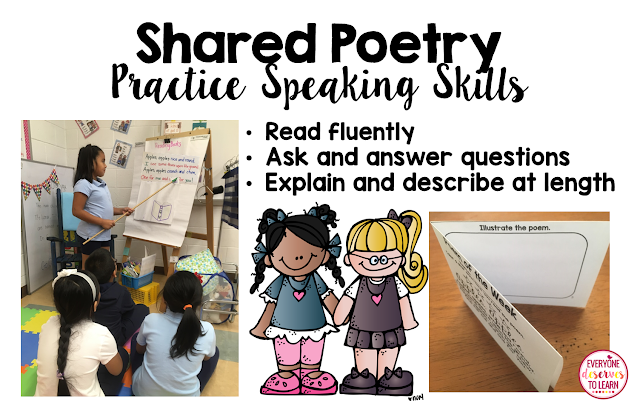 Once, I had a class of ELL first graders working in pairs with letter flashcards, and one student started sniffling and tearing up. When I knelt down to help him along, he showed me the card; it was J for Jam, but he had never had jam before, didn't know what it was, and was afraid he would be in trouble for not knowing. 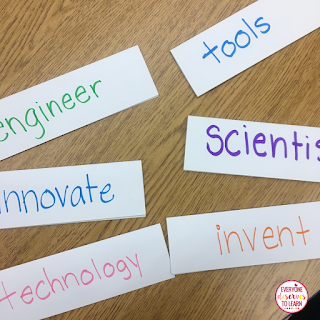 After a hug and a few tissues, I collected all the flashcards and we sat down with Google Images to find other words that started with J. I started using environmental print the very next day, and am so glad I did...no more tears! Whether at home or at school, print is really all around us. From food wrappers to license plates, children are exposed to words from the time they wake up to the time they go to sleep. Use that to your advantage! 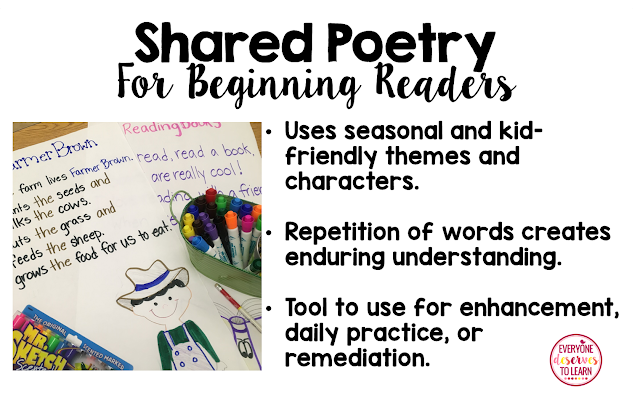 There are so many ways to use environmental print at home or at school to help early or struggling readers. Here are just a few! Keep a pen and paper in the car, and make tally marks each time you see a sign that starts with a certain letter. Have kids tell you if something belongs or doesn't belong (like McDonald's, Burger King, Wendy's, and Barbie) and why or why not. 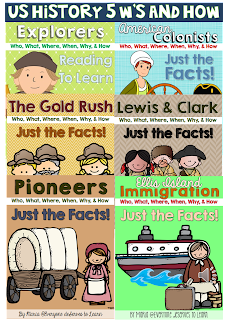 Provide a list and ask students to tell you which was first or last. You can use environmental print to practice math skills by counting and comparing letters, and practice social studies skills by finding out if there is a McDonald's in every country. 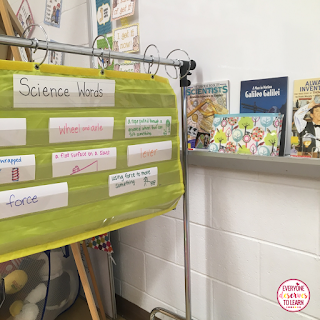 How else can you use environmental print in your class? For more information and research about environmental print, read this or this! It's not easy to be an English Language Learner in the USA. 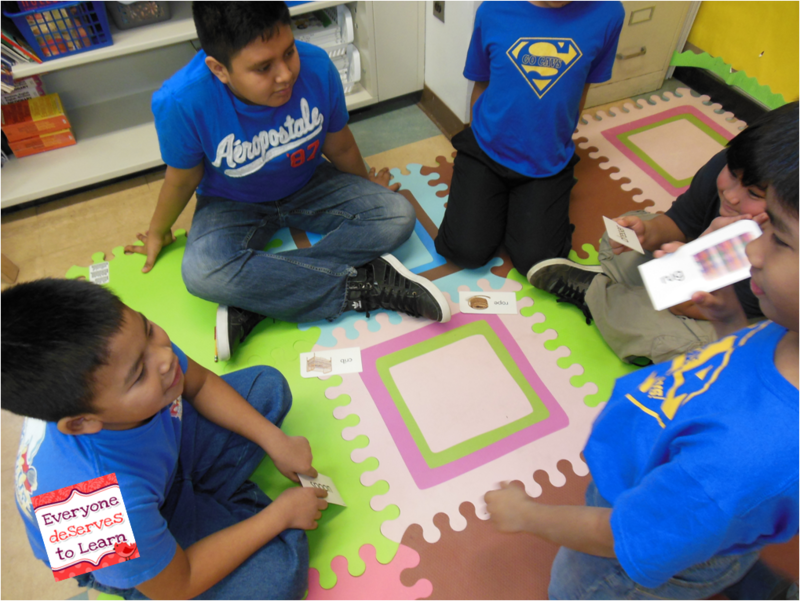 In fact, the odds are somewhat stacked against our ELL's. We're asking them, from the minute they set foot in a school, to learn specific content-area vocabulary at their grade level, when in reality, they may not have the background education, knowledge, or experiences to be able to keep up with their classroom peers. There may also be environmental factors that affect their ability to attend or focus at school. So how can we reach them? 1. Get off on the right foot. Start by making your classroom a place your students want to be. 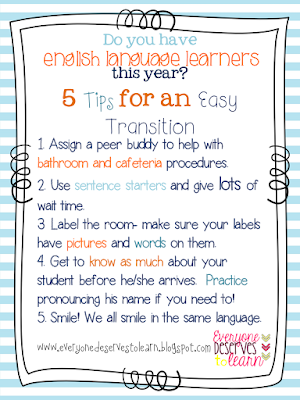 Here are some great ideas to welcome the ELL's in your class. 2. Get to know your student. Learn where he came from, how he got here, who he lives with, and any information you can about his culture and customs. 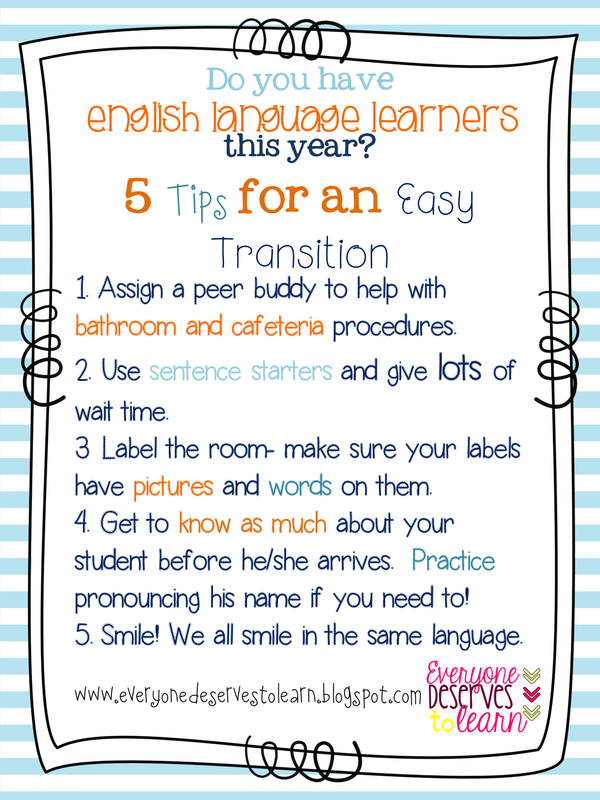 Use that information to make slight adjustments within your room to make the student feel more at home. Find the student's proficiency level. 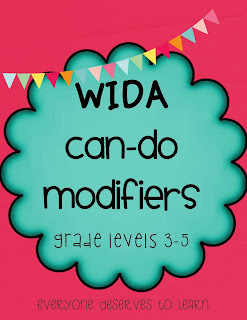 In NJ, we use WIDA, which provides us with Can-Do descriptors. You can think of "Can-Do's" like an IEP: it's a summary of what students can be expected to achieve. Here's a teacher friendly version- just click the picture to download. Just because it happens in the USA doesn't mean it happens around the world. Many of my refugee students come from cultures where birthdays aren't celebrated. That makes it difficult when you want them to read and answer questions about a book called "Susie's Surprise Party!" Not only does it make it difficult to understand the concept, but the students may feel ashamed of not knowing, and therefore become alienated. Many students come to the US without the experiences that our students take for granted. We can't assume that ELL's have been to the beach, rode a roller-coaster, gone camping, or trick-or-treat'ed with friends. 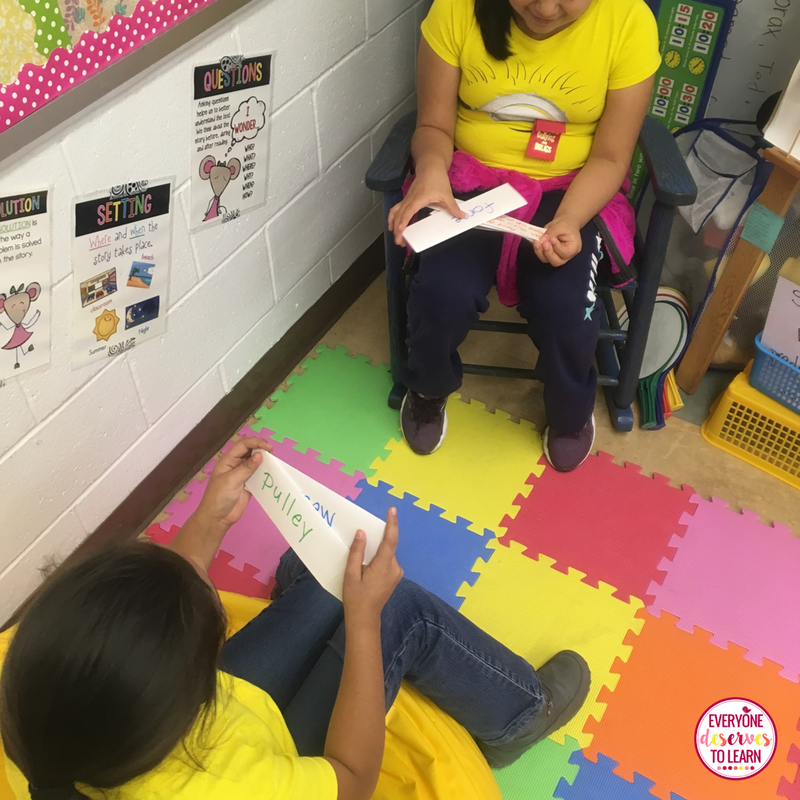 If you know that this week's guided reader is about camping, take a quick needs assessment to see if your ELL's know about camping. 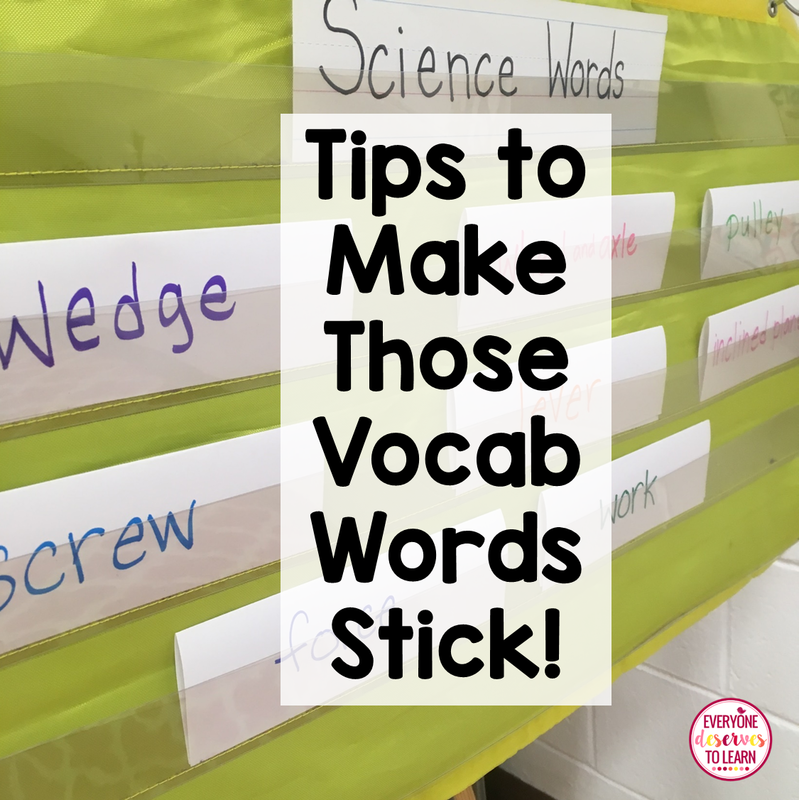 If they don't, there are things you can do to build the vocabulary they need: put together a short slideshow with common camping vocabulary for the benefit of all the students in the class, find a Youtube video, or let the kids explore Google Images. Another tip: have one student be the "expert" on a topic to build community and enhance speaking and listening skills. 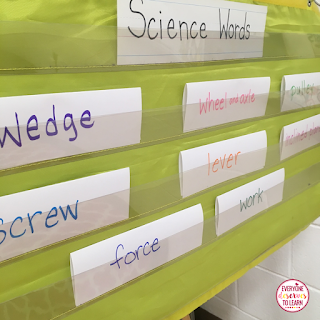 This strategy will work for all the students in the class! Here's the scenario: The students need to know their vocab words, so you send a list home on Monday with this week's 10 words, and there will be a quiz on Friday. Whoa! Pump the brakes! If the objective is for the students to learn how to SPELL a word, sending a list home might be adequate. 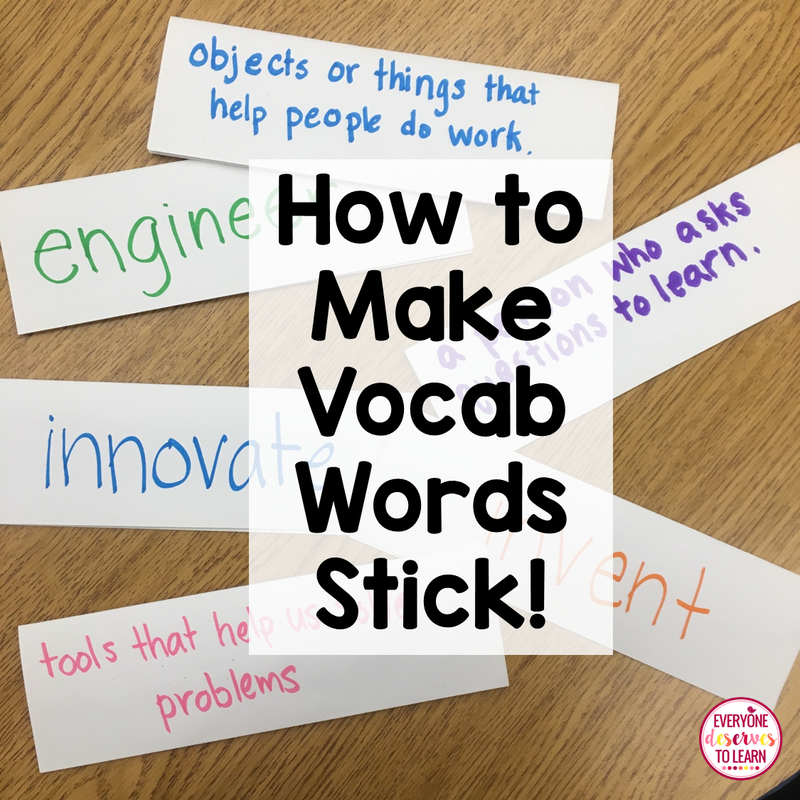 But if the objective is for students to learn how to USE a word, sending a list home will result in a big fat nothing. Whether it's sight words, math vocabulary, or elements of the periodic table, ESL students need to be taught in a way that will allow them to take the word and process it, then produce it. Marzano's Six Steps are a great framework to use. 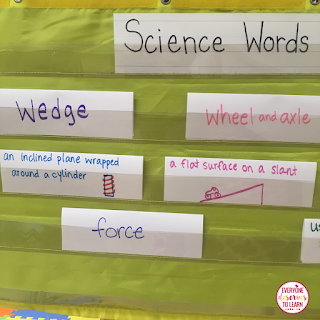 Let students hear, use, and read lots of examples where the word is being used throughout the week or unit, and let them practice using the word correctly. Here are a few examples where the vocabulary words are used throughout the unit in many different forms. Click either picture to see them in my TPT store. 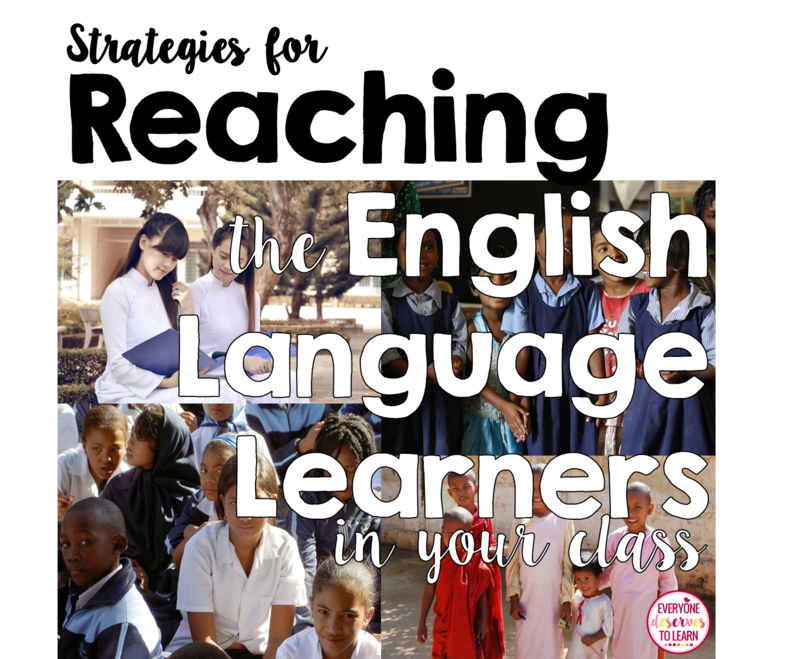 How do you reach the ELL's in your classroom? Share your stories of success (or difficulty!) in the comments. 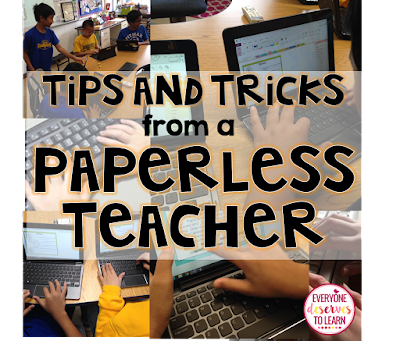 Going paperless this year? Welcome to the club! Here are some of my best tips for going paperless in your classroom. 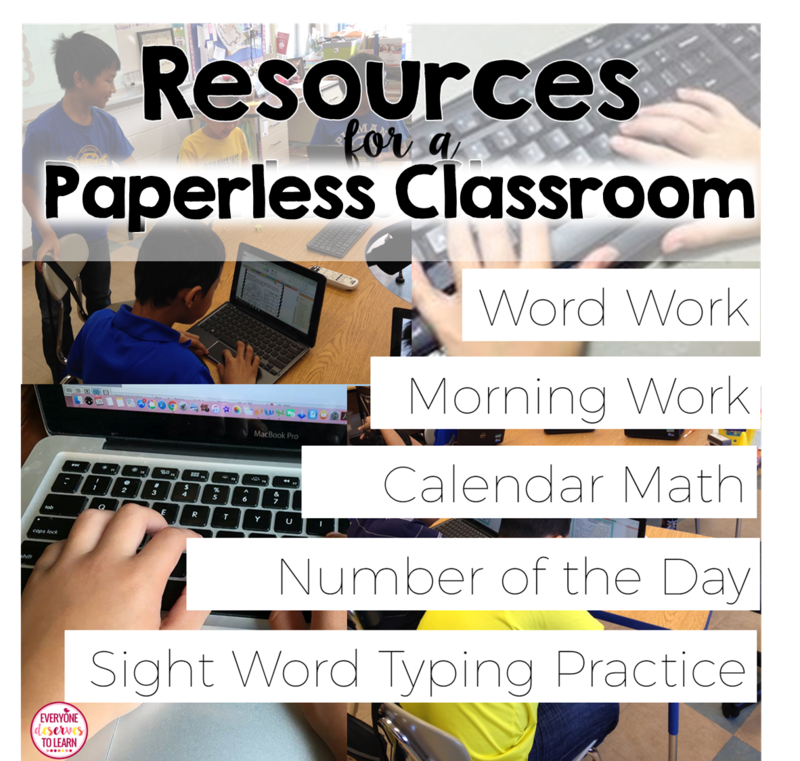 I've been teaching in a 1:1 paperless classroom since 2014, and I learn something new about it every day. Just starting out? 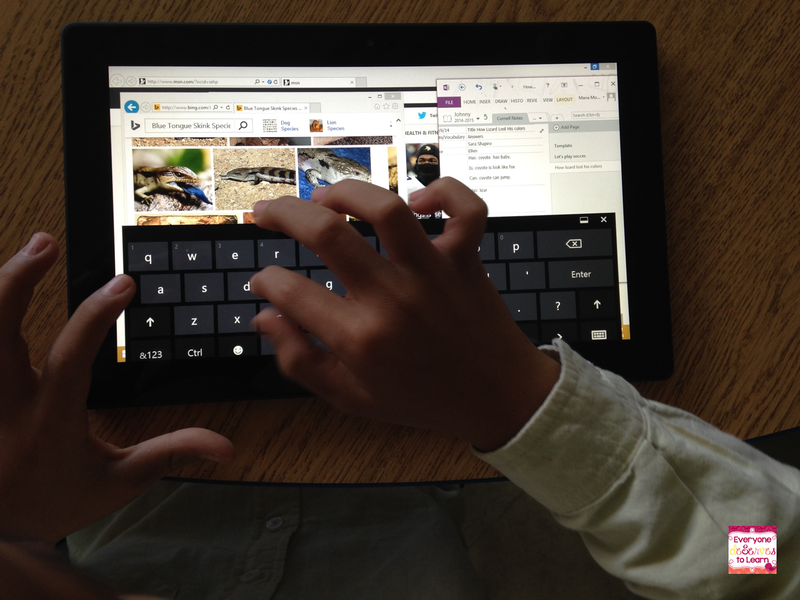 Here are some tips and resources for a smooth transition to digital learning. 1. 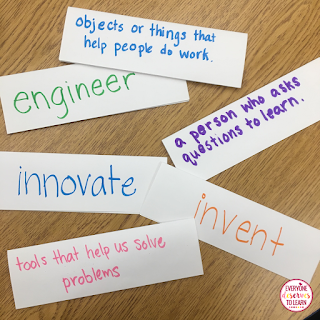 Pick ONE part of your daily classroom routine to start with. Maybe it's your morning work, maybe it's your reading log, or maybe it's a Daily 5 center. Picking one portion of your day is not going to be as overwhelming for you or your students. 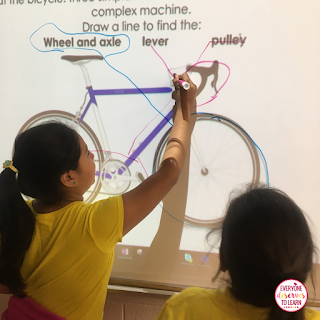 Having just one activity makes it easy to plan, assess, and evaluate the progress you and your class are making. 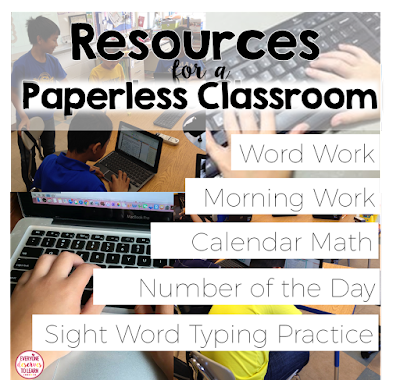 The first paperless activity I tried was morning work. It was a hit! Here's a post all about it. 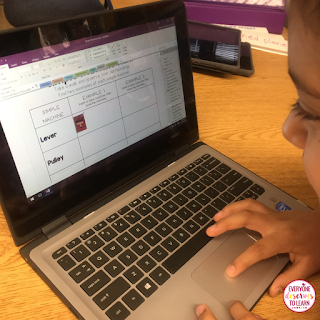 If you're in primary grades, try Sight Word Typing Centers! If you're in upper grades, try Calendar Math or Number of the Day! 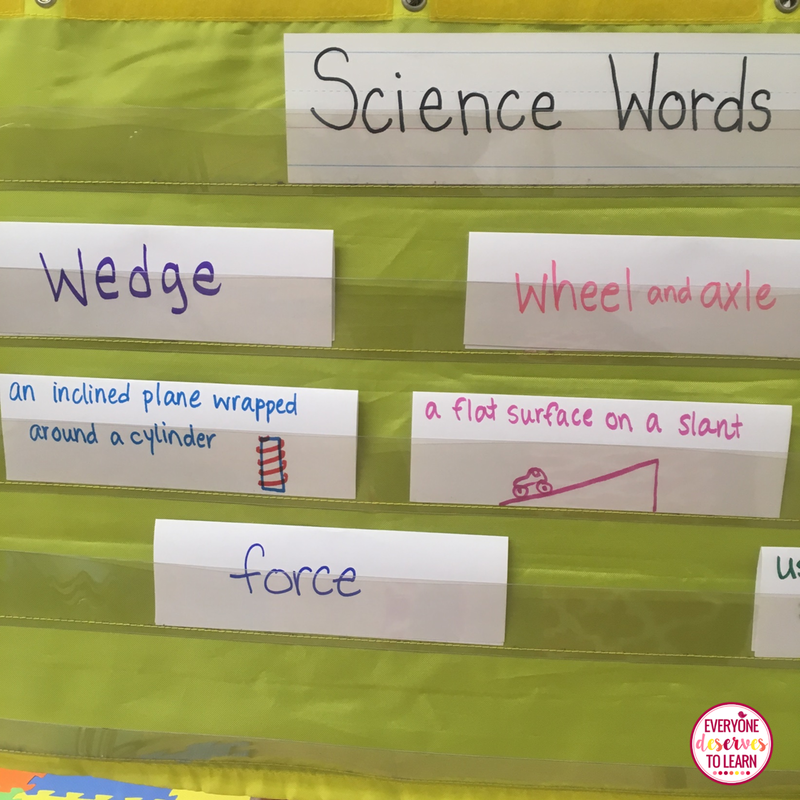 If you're looking for center work, try Word Work for Any Word List! It's going to be hard, and you're going to have issues. It's ok! Issues include, but are not limited to: I can't connect! The battery died! The Internet is down! My screen is cracked! Have a contingency plan for emergencies, such as device sharing and alternate activities. 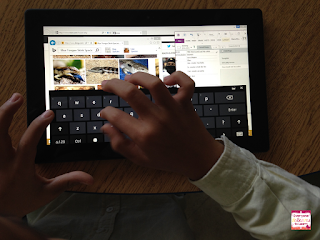 You can assign one or two of your students to be the "Device Manager," and let small issues be diverted to them. Watch their confidence soar! 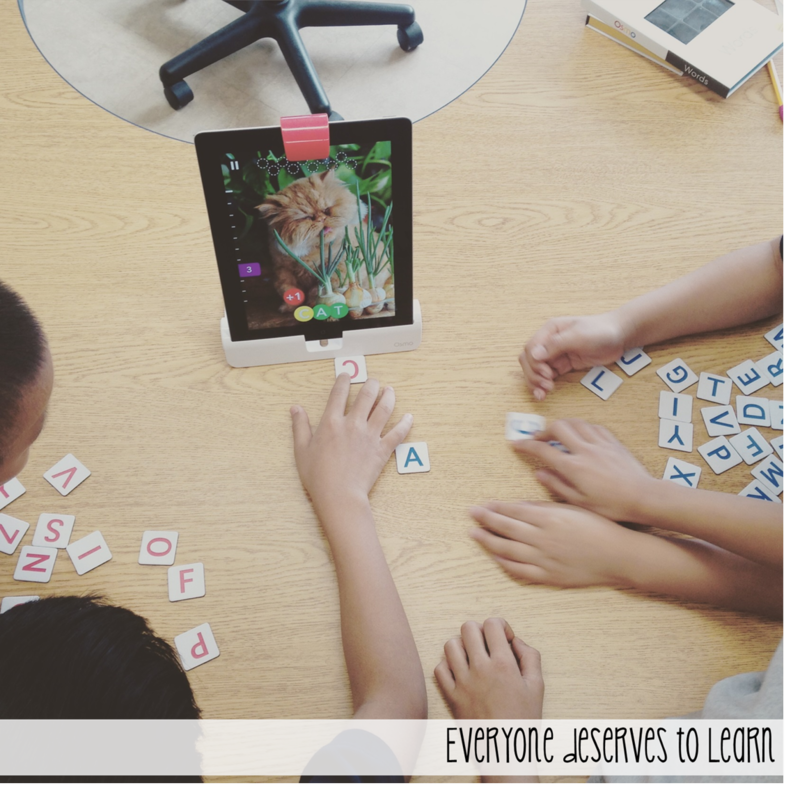 Try word work using the Osmo! 3. Decide how you will monitor or grade work. If you're using Google Classroom or One Drive, make a plan for grading assignments, and share that with your students so they know what to expect. 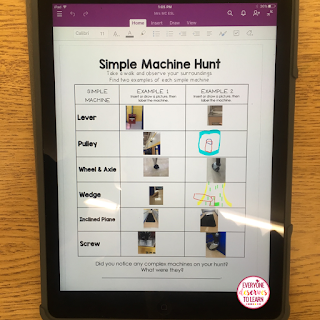 Here's a post about how I use One Note in the classroom. 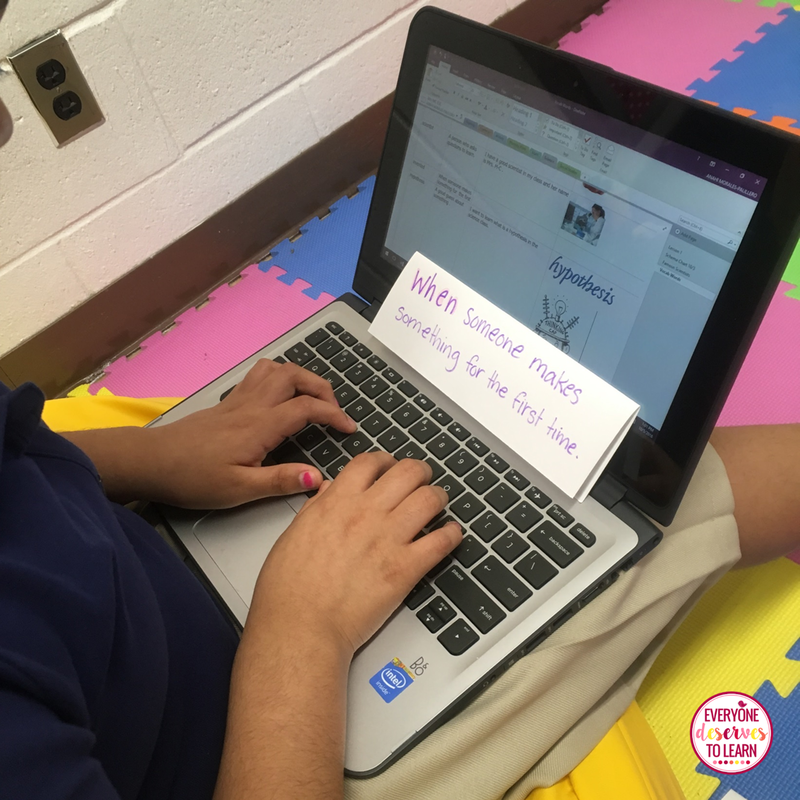 With Google Classroom or One Drive, students can access their work from home, so homework assignments are a great way to get your feet with with digital learning, especially if you're short on devices in the classroom. Students work on typing skills, researching skills, presentation skills all at once. 4. Once you've gotten the hang of one activity, add one more. 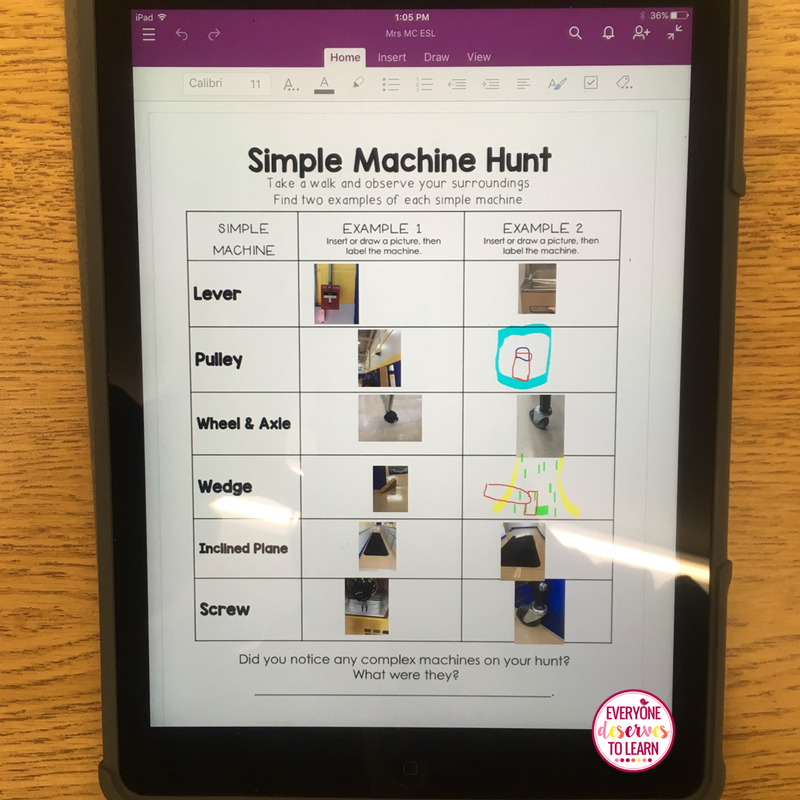 Going paperless one activity at a time is the best way to work out the technology kinks. 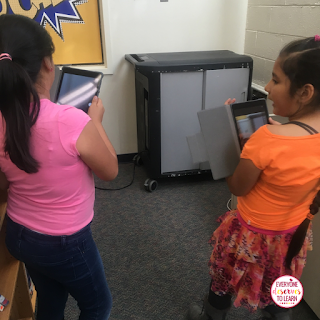 You want to make sure you're not sacrificing quality instruction to jump on the paperless bandwagon. Here's a really fun character traits activity using hashtags to try- kids will eat it right up! 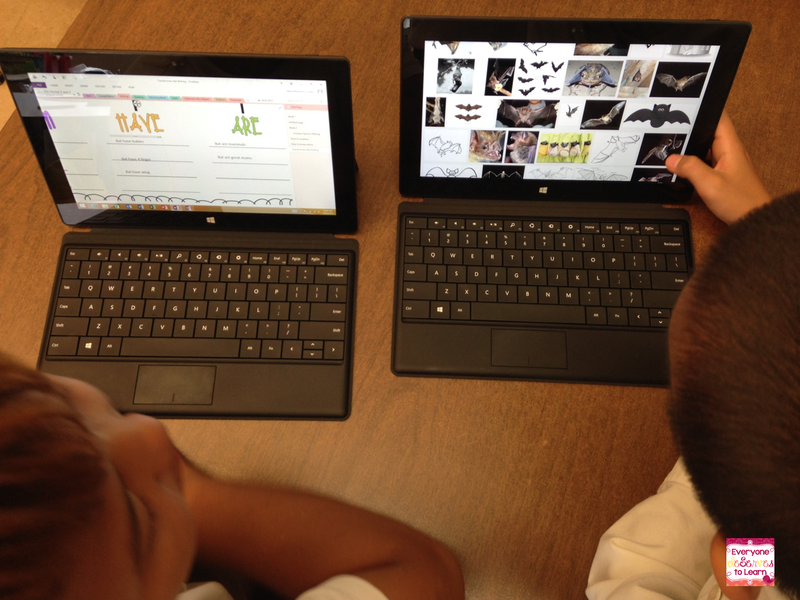 Students can participate in shared research. Group work takes on a whole new meaning! 5. Don't forget to be a learner. Over the course of my first paperless year, I learned more about going paperless from my students than I could have possibly learned from a blog post, text-book, or e-course. There are going to be things you don't know how to do, but your students will, and vice versa. Let them teach and help each other. Create a mindset where sharing knowledge and intelligence about technology is the norm; you will reap the benefits of a strong classroom community and even stronger technology skills. 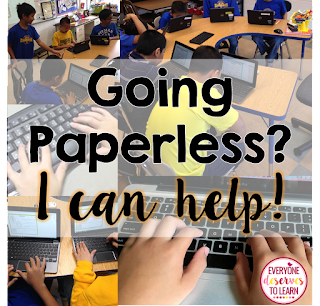 Good luck going paperless! If you have questions, please leave them in the comments and I'll do my best to help you.